Looks like the four square is gaining popularity with off camera flash photographers. 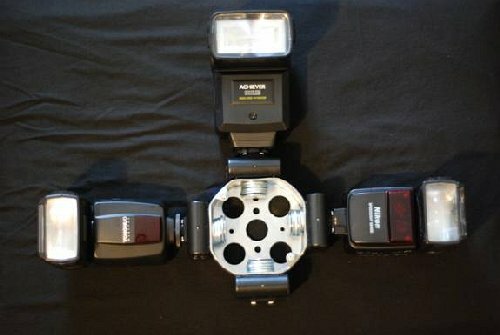 If you can shell the bucks for four strobes (only 268 for four YN460II) , why not get them all together for increased power / shorter recycle time. 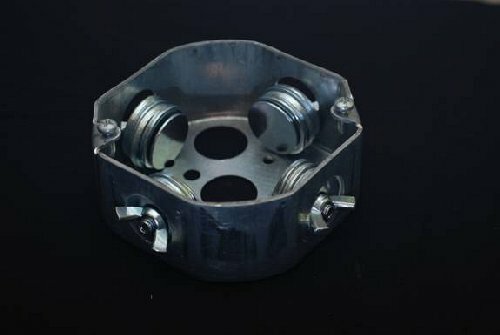 We did have a dual flash bracket and a triple flash bracket, but this version of a four flash bracket (AKA four square) from an Electrical box and a few washers by Destin Danser is just too good to be ignored. 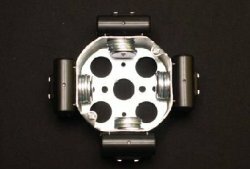 The version described below is made to work with Yongnuo CTR-301P radio triggers, so my attachment method uses ¼-20 threaded Bolts This could easily be made to have female cold shoe mounts using a male ¼-20 to female cold shoe adapter instead of the elevator bolts. Note there are only 3 flashes attached in this photo, because I’m not yet cool enough to own 4. All this cost me less than $7 at Wal-Mart, and my local Hardware store. *ignore the 4 large fender washers. I ended up not using them. 1. Punch out all the metal covers in the electrical box. I’ve already done this before taking the first photo. 2. 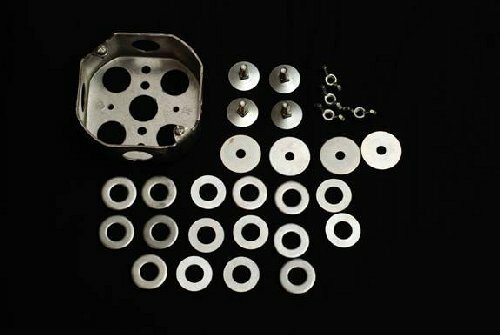 Stack 4 washers on each elevator bolt and put 1 bolt through each of the outside holes in the electrical box (see photo). Then place a wing nut on the bolt to hold it in place temporarily. 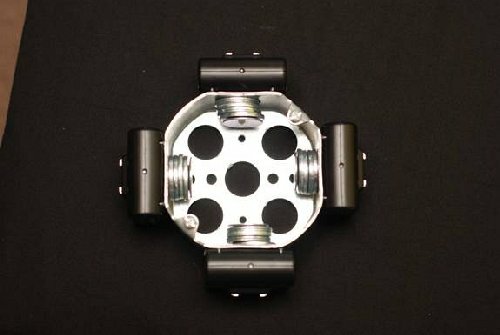 This can also be used to keep them in place when the receivers are not mounted on the bracket. 3. Remove the wing nuts and attach the triggers. Turn everything on, and shoot away! Cool DIY. The only thing missing it seems is a way to attach it to a light stand.